Welcome to our last report of the year. So far this season has shown just how fickle our fishery can be? One day the weather is perfect, the bugs are out, and the fish are eating what you throw at them. 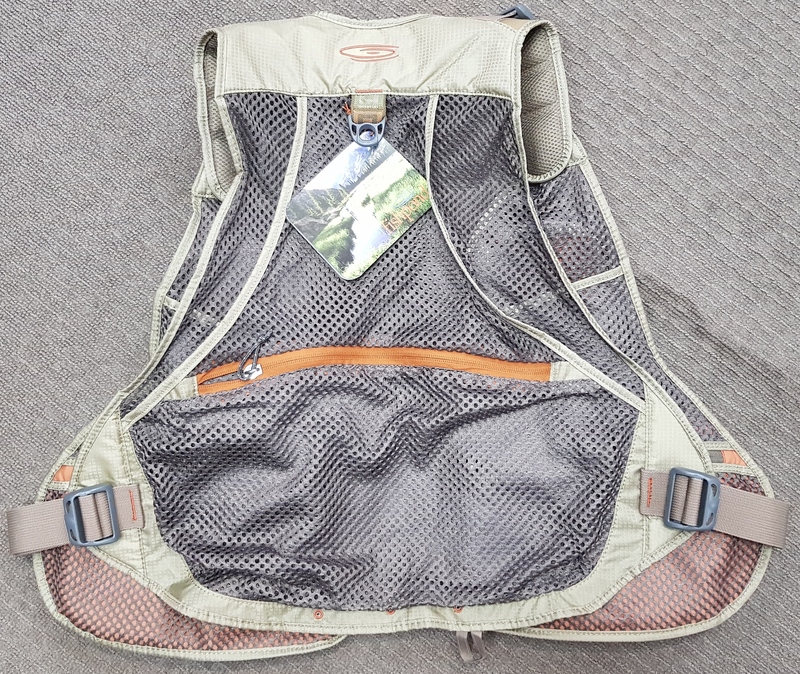 Other days the weather is cold, there are no bugs in sight, and the fishing ………. Well lets call it challenging. The good news is that things are starting to get better!!! 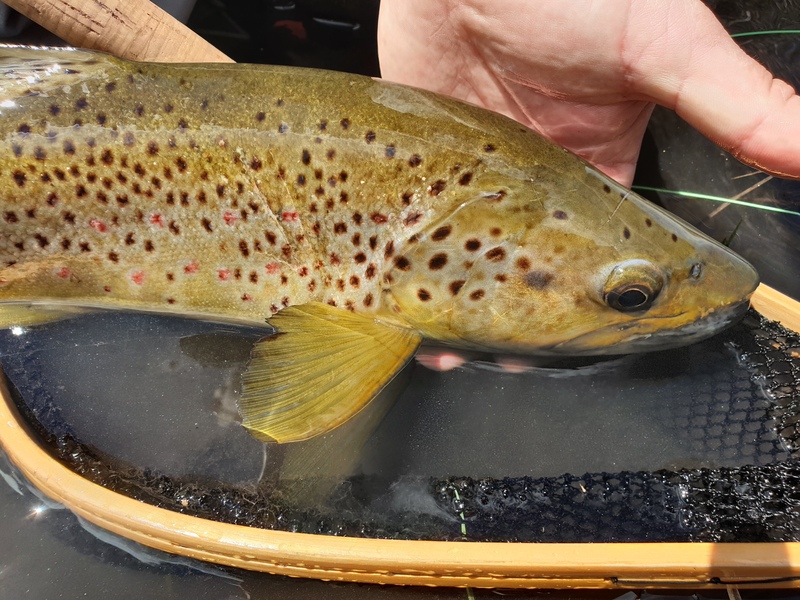 All reports from the local rivers are showing signs of improvement, with the trout starting to take food readily of the surface and more numbers of fish being caught. After a fair bit of rain over the past few weeks the rivers have been given a much needed flush and the local lakes are seeing some new water over some fresh ground, Hopefully a bit more water into Lake Jindabyne will encourage the bigger fish to come into the shallows looking for some fresh food. Lake Eucumbene is still very low and muddy around the edges, but we are seeing the fishing picking up. 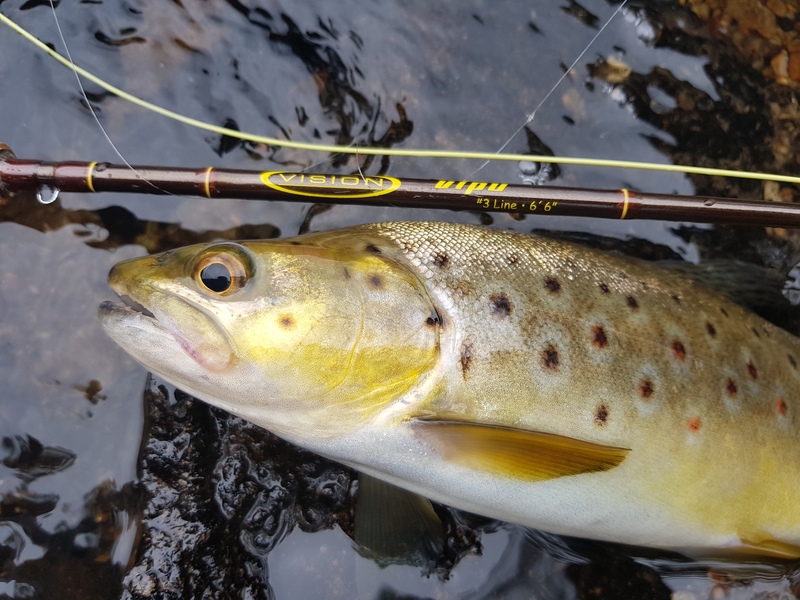 The Monaro streams have seen plenty of action and pressure since the opening of the trout season and are still fishing okay, although its best to leave these streams alone during peak summer times as the water can get quite warm and the fish can take a bit of time to recover. Minimizing the time out of the water and making sure that fish has recovered before releasing will reduce any fatalities. The best method for river fishing at the moment is still a dry and dropper rig. 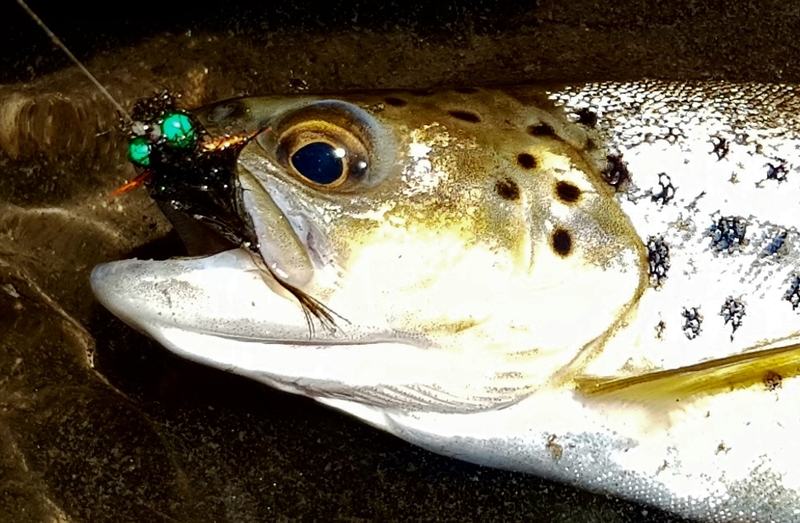 A low sitting dry fly like a Parachute Adams or one of Manic Tackles CDC dry flies like a Muz’s Messy Wullf or cdc Crippled emerger are perfect flies for fickle trout as they sit right in the film and look like an insect trapped on the surface. These flies also have the ability to hold a lightly weighted nymph underneath and fish very well in tandem. The higher elevations are starting to fish quite well (albeit the fish are a bit smaller, but the numbers are higher. The Mowambah river has had moments of glory but it has bit a bit hit or miss. Island bend is definetely worth a look, and I am hearing some great fishing reports from the other side of the range, with Swampy Plains, The upper Murray both looking good. Don’t Forget that we have a free casting clinic on the 9th of January, so please register your interest ASAP so we can guarantee your place. There is plenty of new stock in store and some bargains to boot, so come on down and say G’day and have a chat. Merry Christmas and Happy New Year from all of us here at High Country Outfitters!!! All Photographs in this report were supplied by local fly fisher Adam Cathor. Adam has been having a fantastic season so far and is a good friend of ours at the shop! 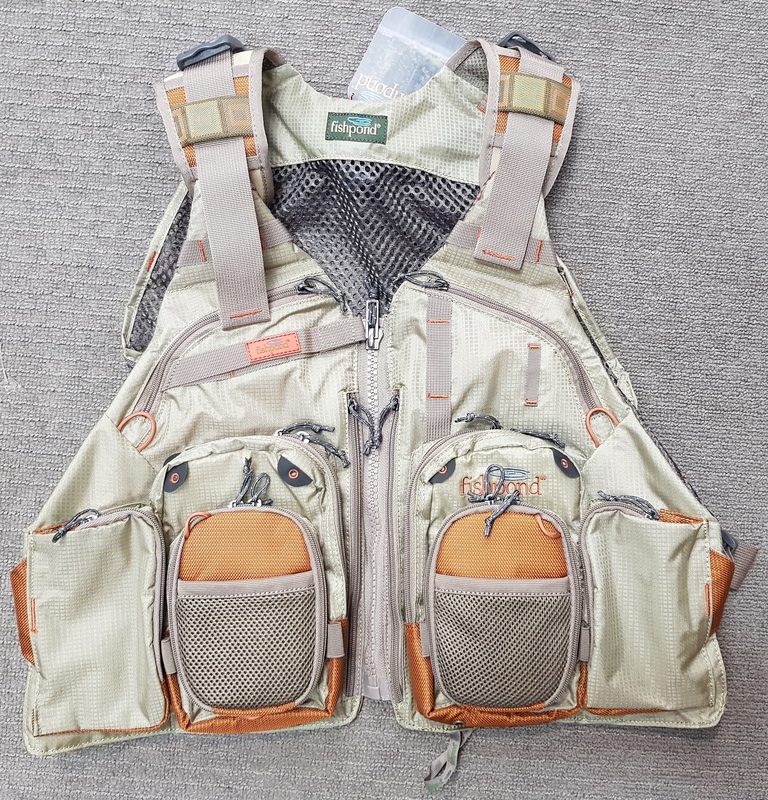 In Addition the the new River Camo Range Simms have expanded their line of great technical fishing clothing to look just as home on the street as it does on the water! A technical hoody with water resistant cuffs and boat-to-bar style. 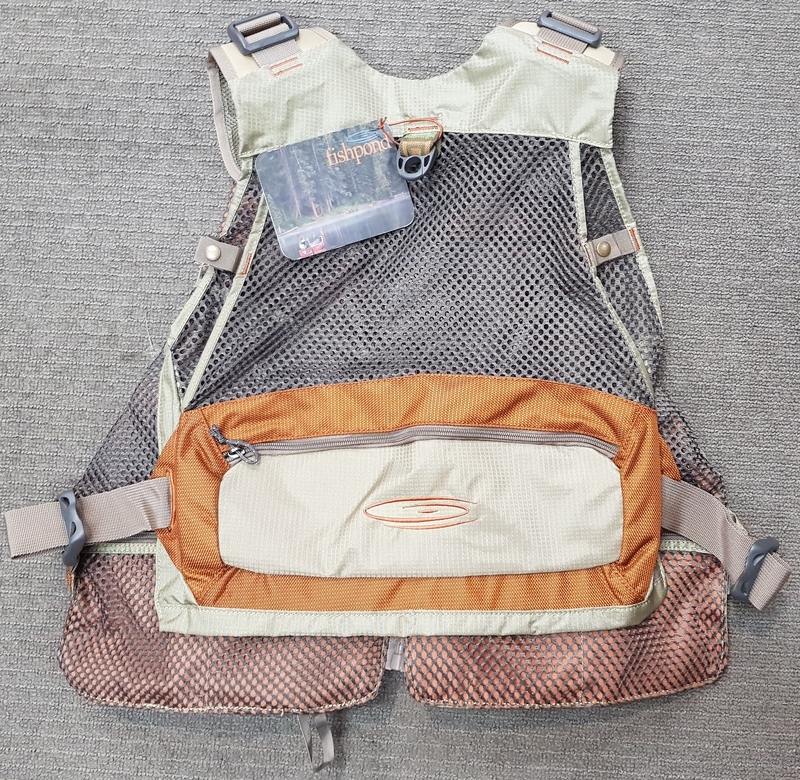 This Season Simms is really expanding its range both on and off the water. 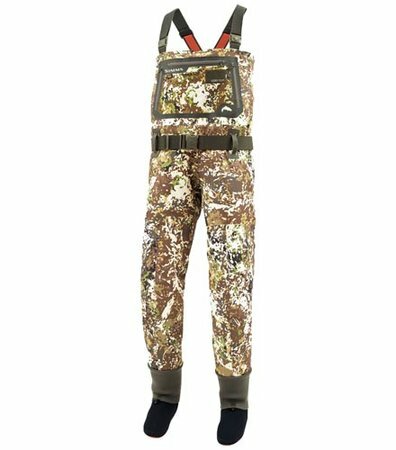 The highly anticipated arrival of the all new River Camo G3 wader will definitely give anglers an added advantage on the water. ​​Stealth isn’t a fashion statement. It’s a science. 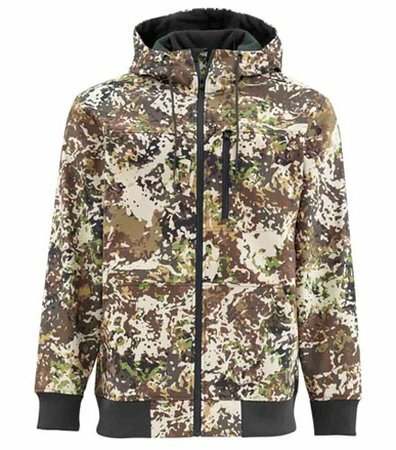 SIMMS RIVER CAMO: Because Fish Aren’t Blind. 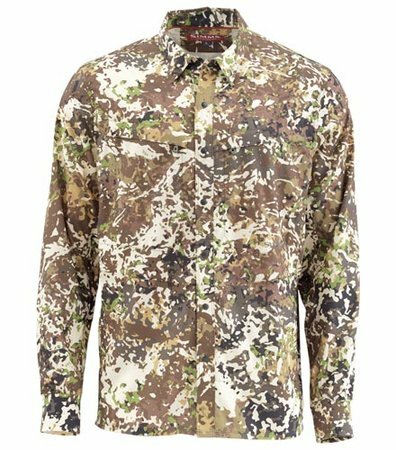 The River Camo range from Simms will help you get closer! The trees are changing colour and the days are getting shorter. 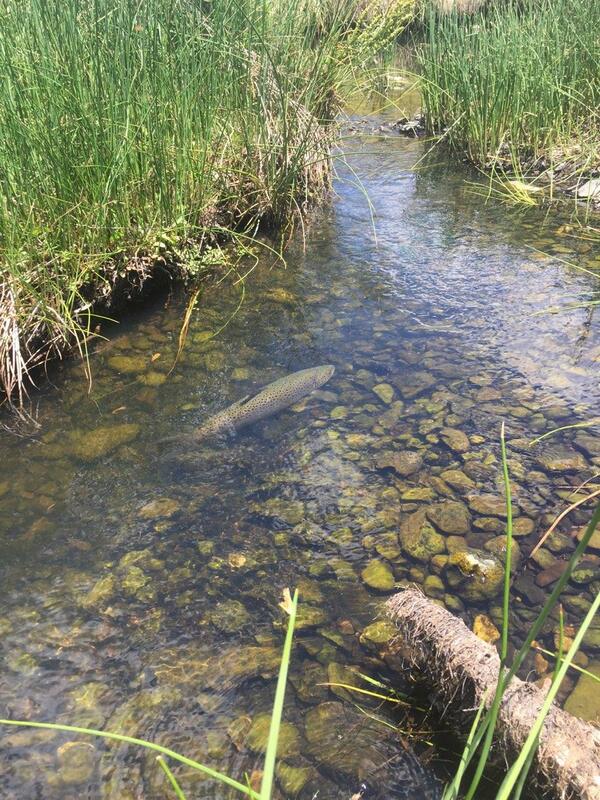 Its been a fantastic summer for trout fishing, albeit a challenging one in the later part. 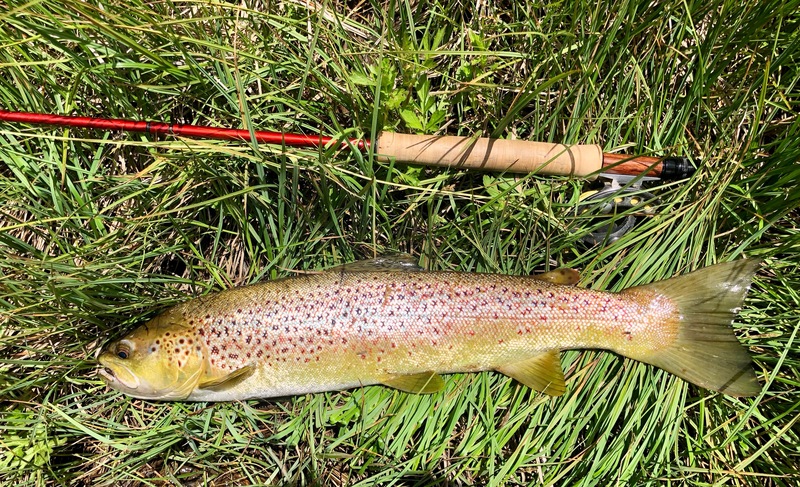 We have had some very warm days here in the high country with very little significant rain falling in the past couple of months making the later part of the summer fishing quite challenging for daytime fishing. There is still some very good fishing to be had with plenty of fish in the rivers and lakes. 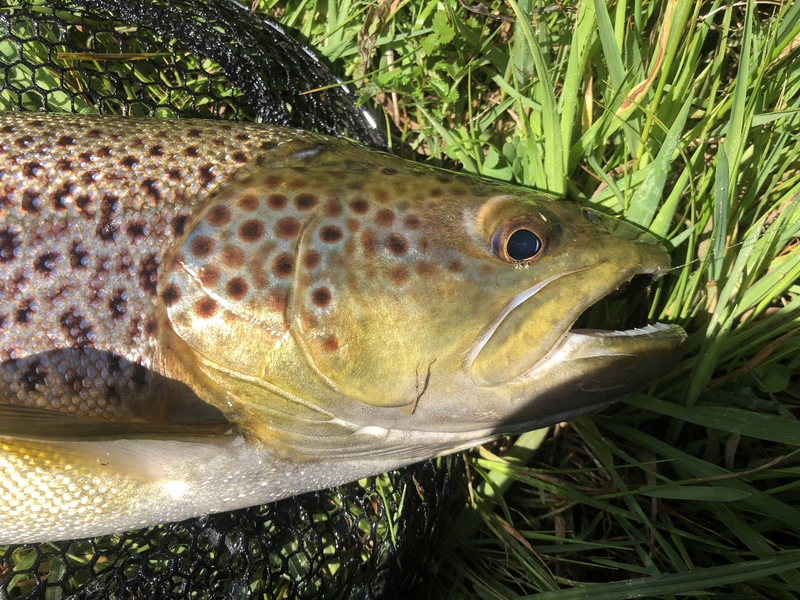 With low water conditions in most of the rivers around the region you really have to be on your game, as the fish are quite “skittish” at the moment. With a little patience and a stealthy approach will get you into some good fishing. Earlier and later parts of the day have generally been a lot more productive. 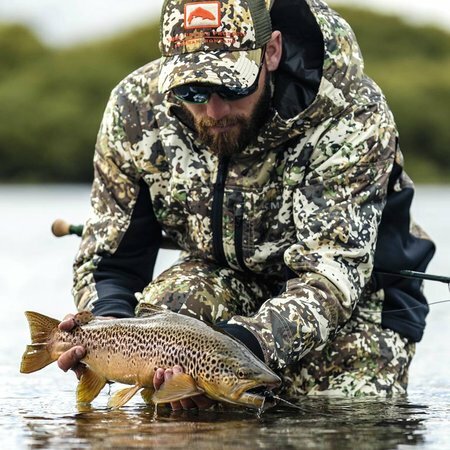 The hoppers are out in numbers as well, and fishing the grassy edges of the rivers and lakes during the windier times has proven to be quite successful. A hopper pattern smacked on the surface is usually too hard for a hungry trout to resist!!! There is a huge variety of shapes and colored hoppers getting around! Luckily we have just about every pattern to match them here in store. Don’t be afraid to mix it up with your patterns as there is still quite a few bugs getting about, with no dominant critters apart from the hoppers! 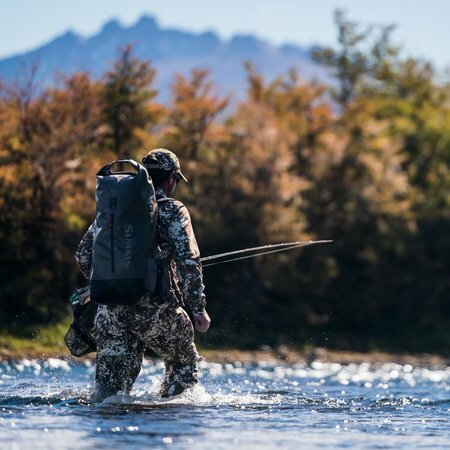 When the going gets a little tougher during the high sun, it can pay to drop a nymph under a dry-fly, or even fishing the deeper water with a couple of nymphs. Lake Eucumbene is starting to see a few fish move in closer to the edges chasing the bugs around the weed beds. As the weather starts to cool down some more we should start to get into some better fishing, the Browns will be looking for some food to get into some condition ready for their annual pilgrimage up stream to spawn. 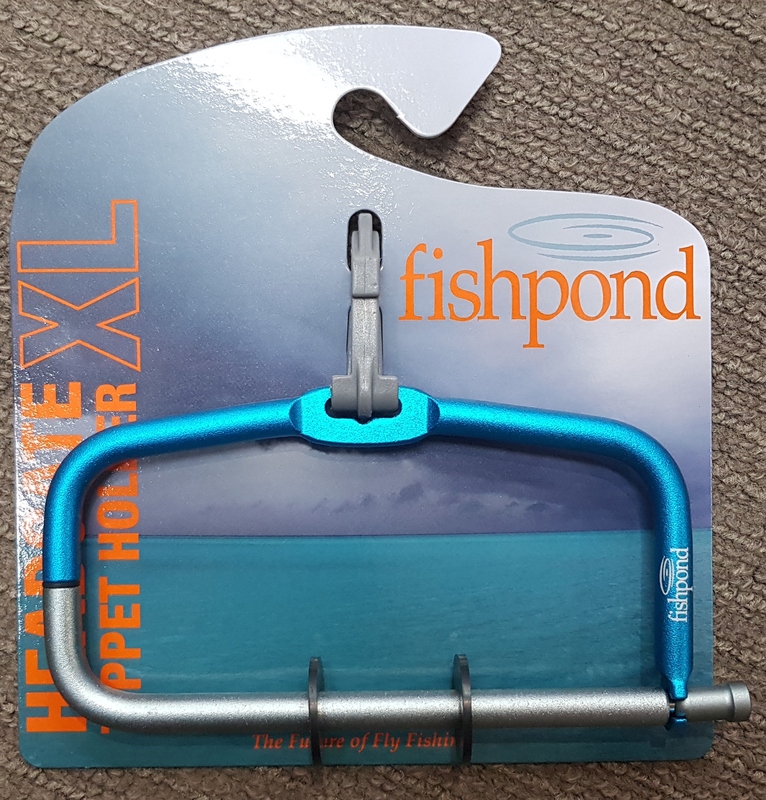 Lake Jindabyne is also seeing some better fish coming in closer to shore as there a some good schools of goldfish hanging around the weed beds. 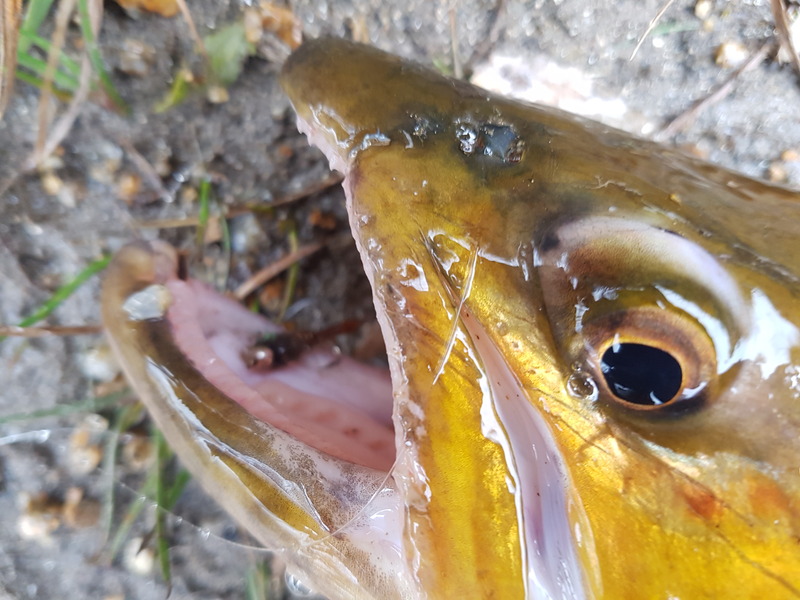 The brown trout love chasing them down for a nice big meal with little effort. Larger streamers fished in the schools can usually produce some good results. The higher streams are still the pick of the fishing at the moment. As the weather cools and we start to get some rain (hopefully!!??) the fishing will start getting a little easier and the fish will become a little more relaxed. Happy fishing folks! The next couple of months are looking great! 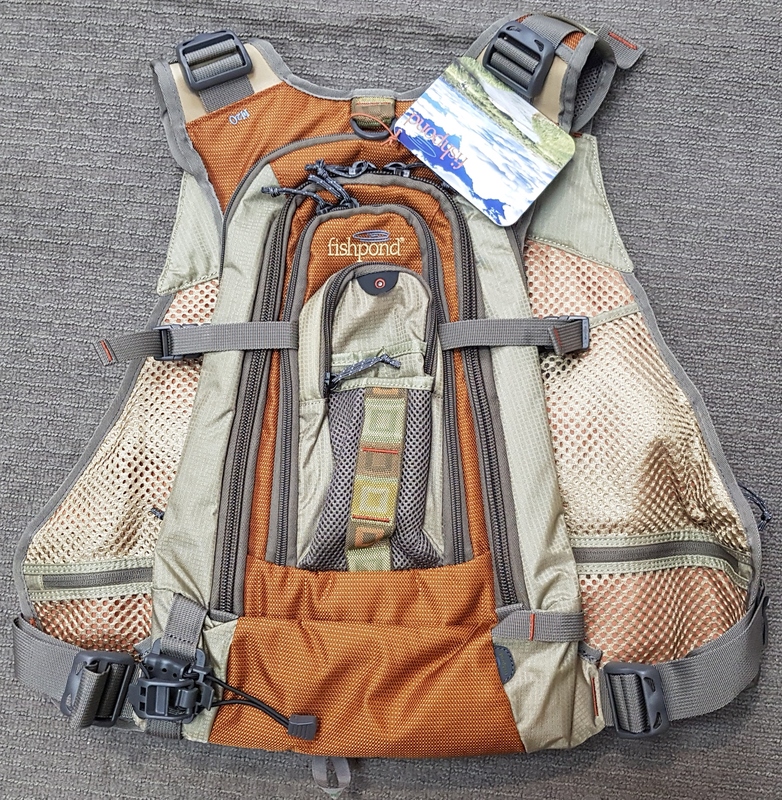 Lifestraw Go-Bottle and Lifestraw are now available at High Country Outfitters. 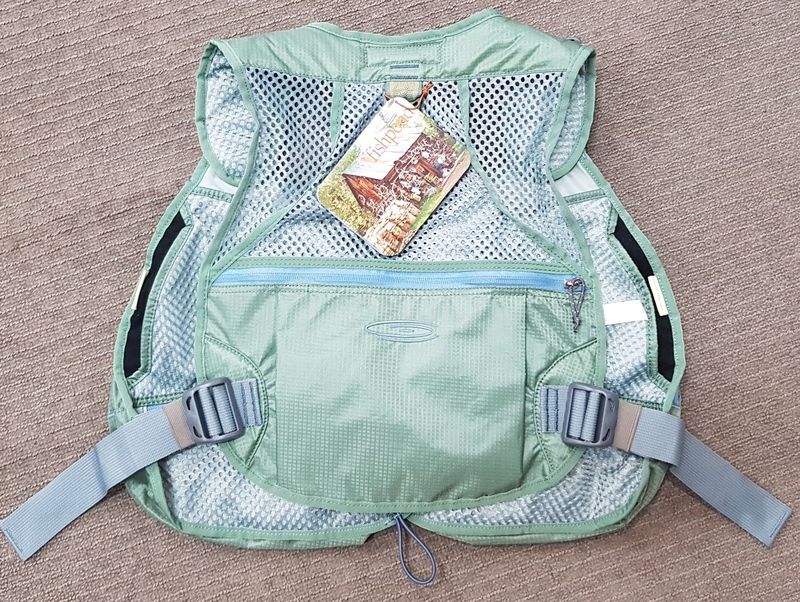 Don’t get caught outside without clean drinking water! 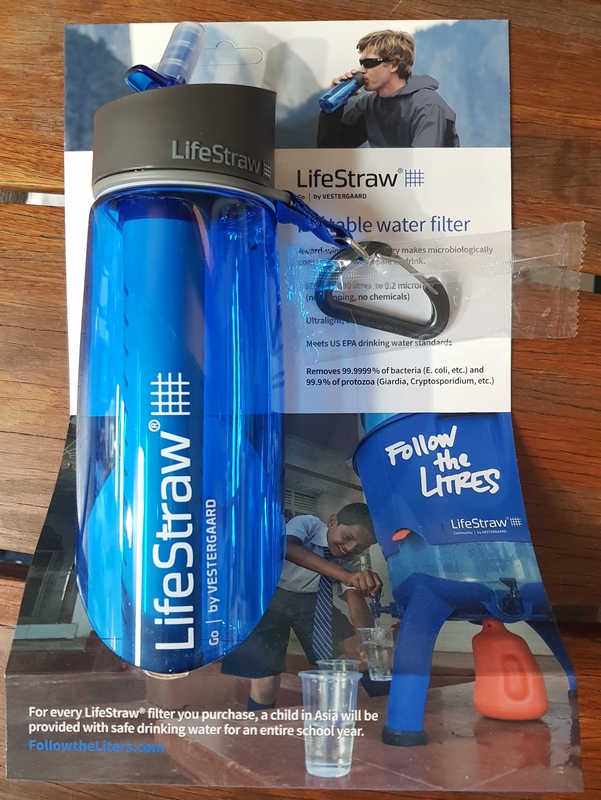 Lifestraw products are designed to be ultra-portable filtration units that are easily carried or stored until needed, a single product has the ability to filter 1000 liters of dirty water into clean drinking water. 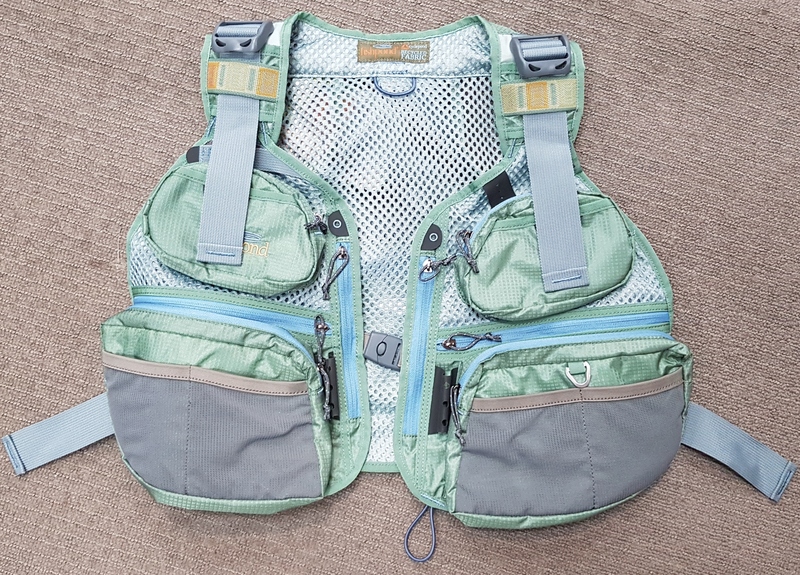 Originally introduced in 2005 as an emergency response tool to filter water often contaminated following natural disasters and is now used in water filtration products globally. Such an easy and affordable way to ensure safe drinking water just about anywhere you find yourself, and every purchase of Lifestraw that you make a child in Africa will be provided with safe drinking water for an entire school year. Visit Followtheliters.com to see ow you are making an impact. Lifestraw Go-Bottle $59.95 and the Original Lifestraw $39.95 (just a small price to pay for peace of mind. 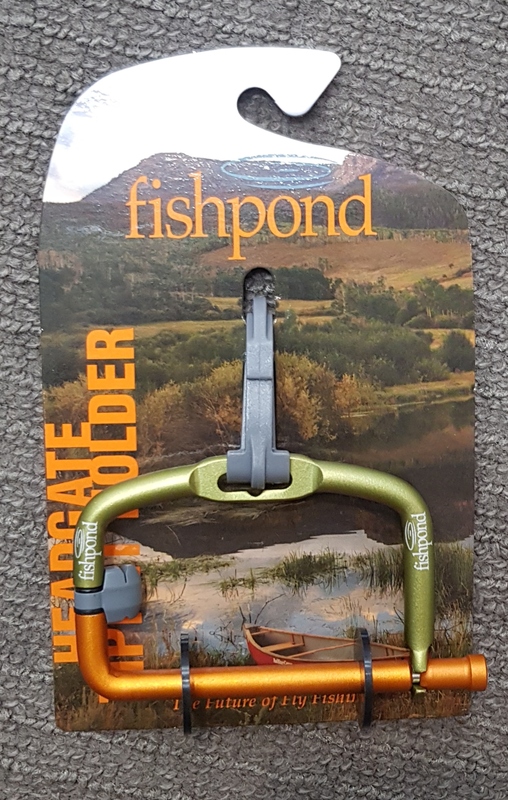 Fishpond have a passion for creating products that stretch the boundaries of traditional product design and set new standards for functionality. With their roots firmly planted in the core fishing market. 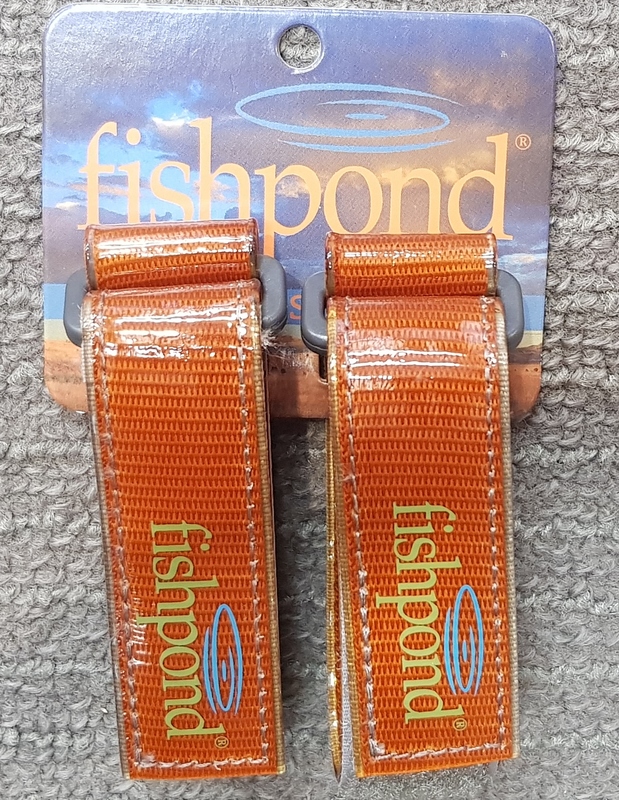 Fishpond is headquartered under the peaks of the Colorado Rockies, which provides them with the perfect testing ground for new product designs. The land and water in Colorado inspire them to focus on rugged construction and to evaluate the performance they build into each and every one of their products. 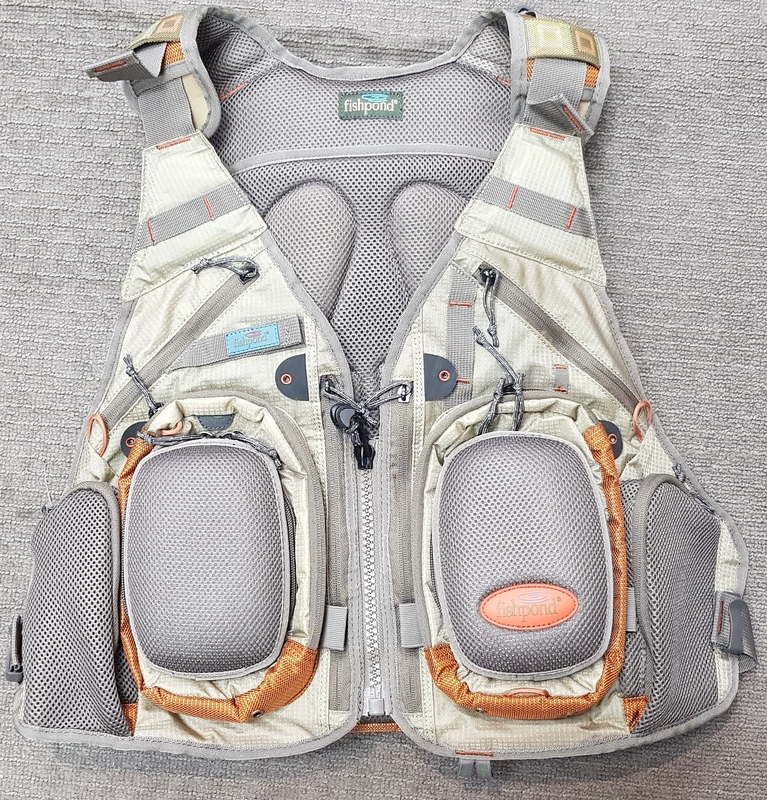 Fishpond vests and accessories are now available at High Country Outfitters. 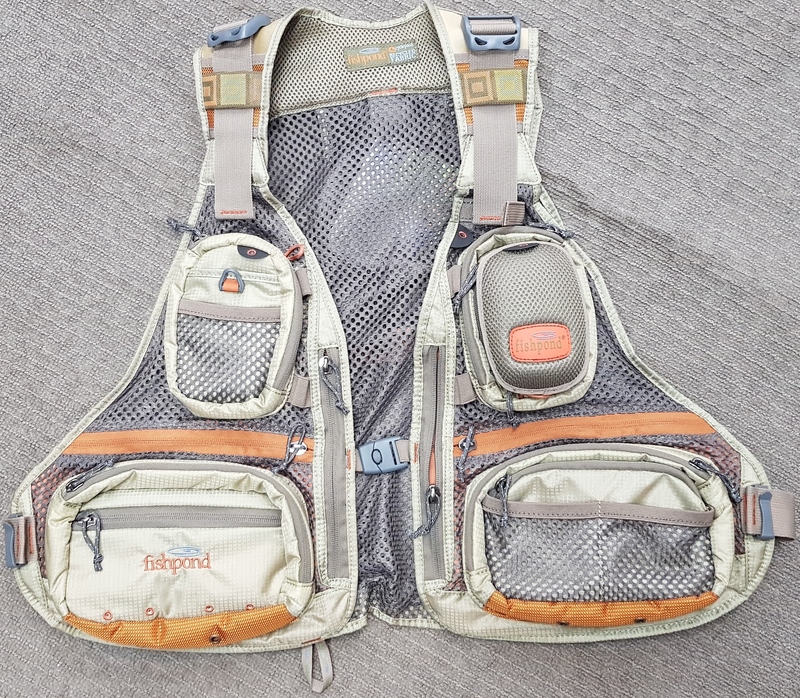 Fishpond Vests and Accessories are built to last. We are very happy to be stocking these great quality and innovative products. Wow! What a great start to the year it has been. The weather has been fantastic, and the fishing has been even better. The rivers and streams around the region have been fishing very well and we are starting to hear a few good reports from the lake fishermen as well. The Thredbo river is looking great at the moment. 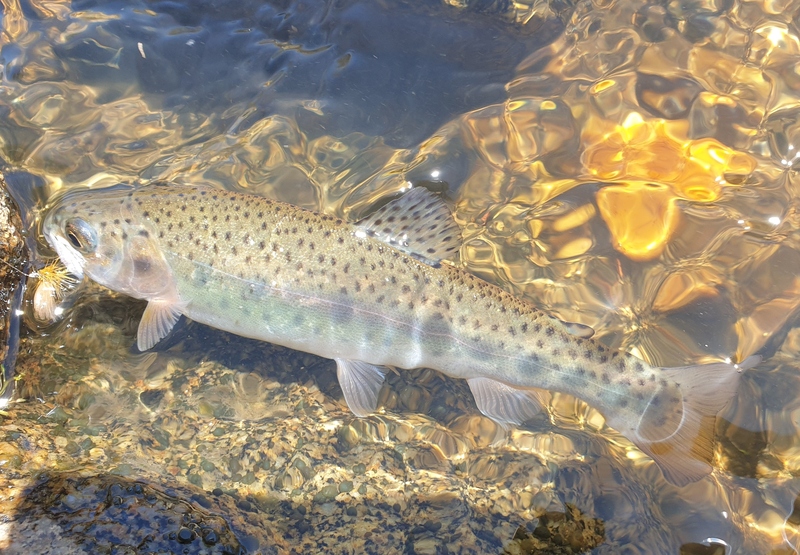 Although we have had some very warm days up here in the high country, we have had some cooler temps over the past couple of days keeping the water temperature nice and comfortable for the trout and the odd little rainfall in the catchment has managed to keep the river flowing at great summer level. The abundance of insect life at the moment is making fly selection a little easier! 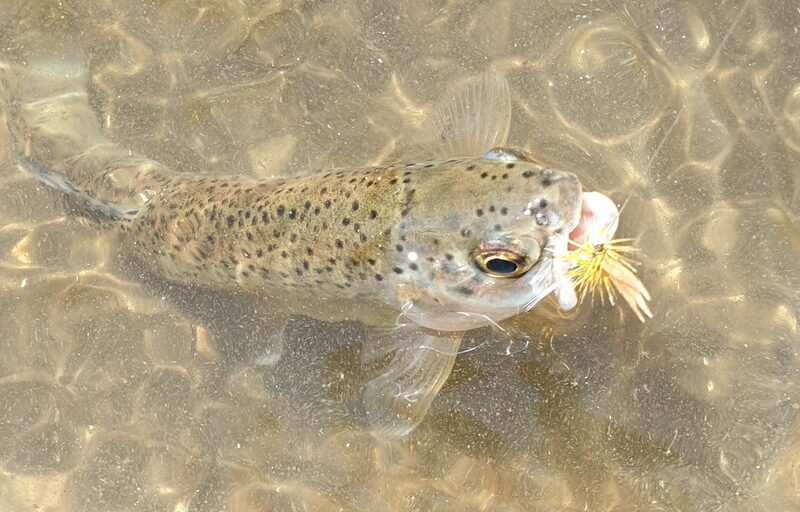 Caddis Flies, Beetles (both black and brown in all sizes), Mayflies, and some smaller hoppers and crickets are getting about, A well drifted dry fly pattern with no drag should be the undoing of a wary trout sipping food from the surface. The upper part of the Thredbo is fishing best with many anglers doing very well from the skitube right through to Dead Horse gap. Best fishing on the rivers is usually early morning and later in the afternoon, but good catches can occur anytime of the day. Just be sure to fish slowly and methodically during full sunlight hours as the fish can be a little spooky at these times. 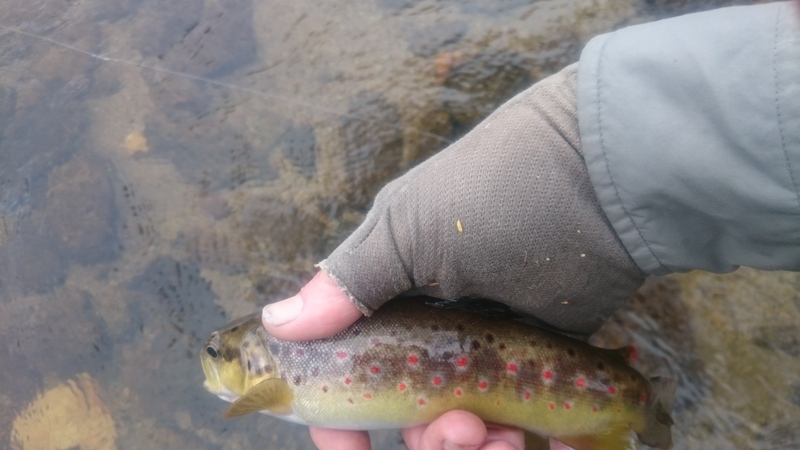 Sometimes it would pay to hang a smaller nymph pattern under a larger dry and fish under the banks during the warmer full sun days, the fish like to stay cool and not expose themselves to any potential predators. 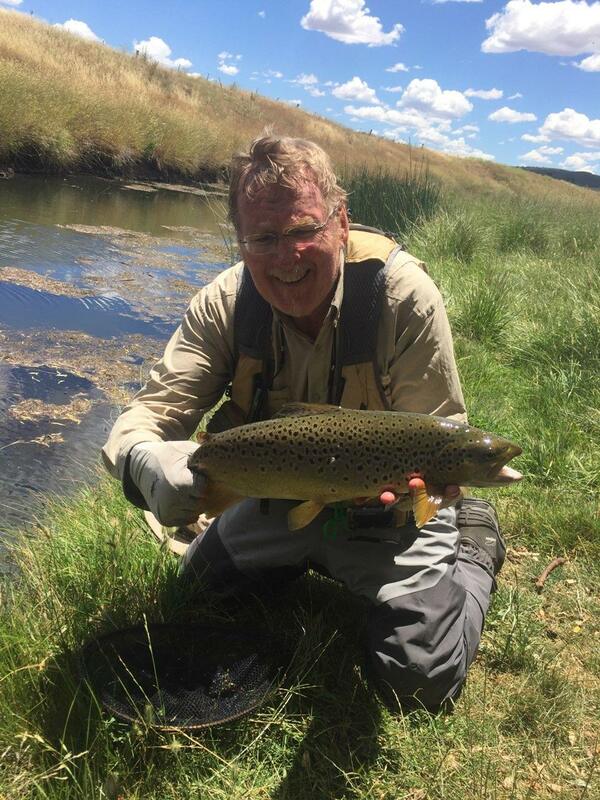 The Mowamba river has also been fishing very well, Humpies and caddis patterns are the go-to flies as the beetles and caddis have been prolific. 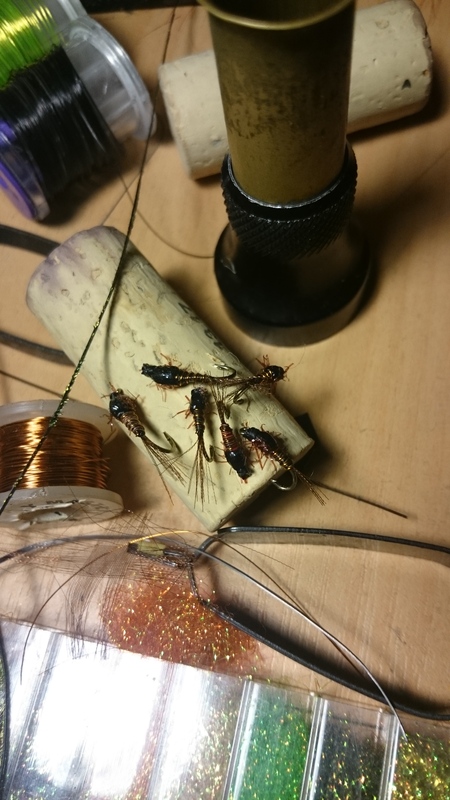 Size 12 beetles and size 14-18 caddis patterns. 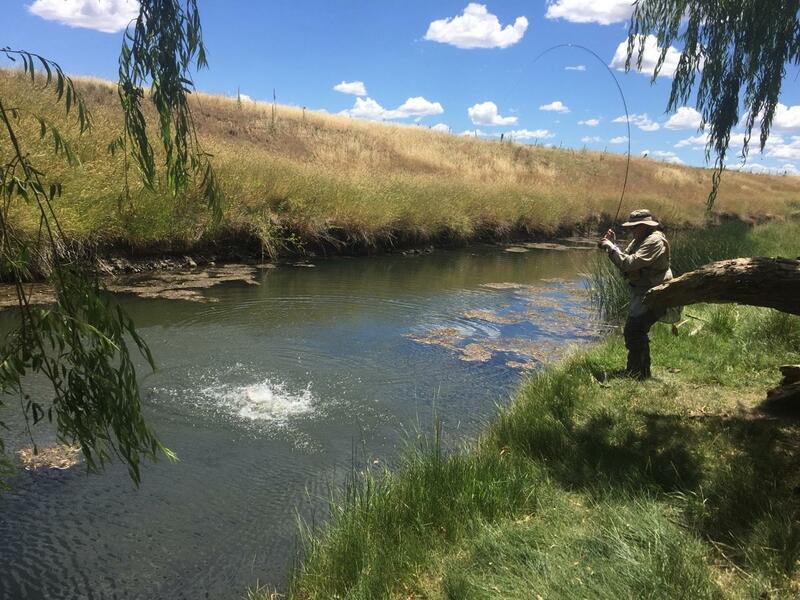 The Monaro streams are still fishing quite well, although with the heat and little rainfall its probably a good time to leave the smaller Monaro streams alone and let the resident fish have a little repreive from the warmer conditions. 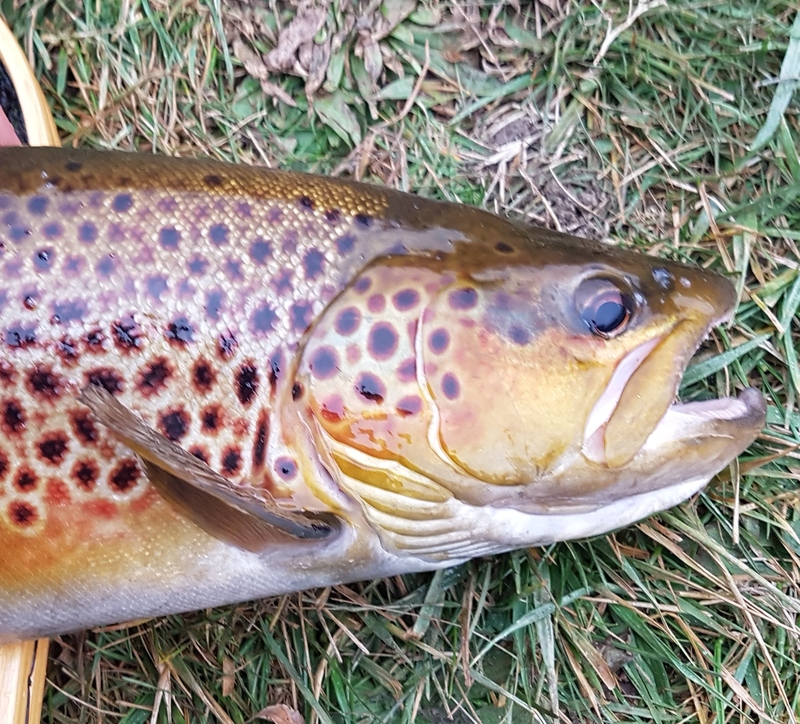 If you are tempted to fish for these lovely local fish, please be sure to revive the fish properly when releasing to ensure a healthy survival. It may be tempting to have a cast at these guys, but sometimes it’s best to take photograph and leave them for a cooler day! 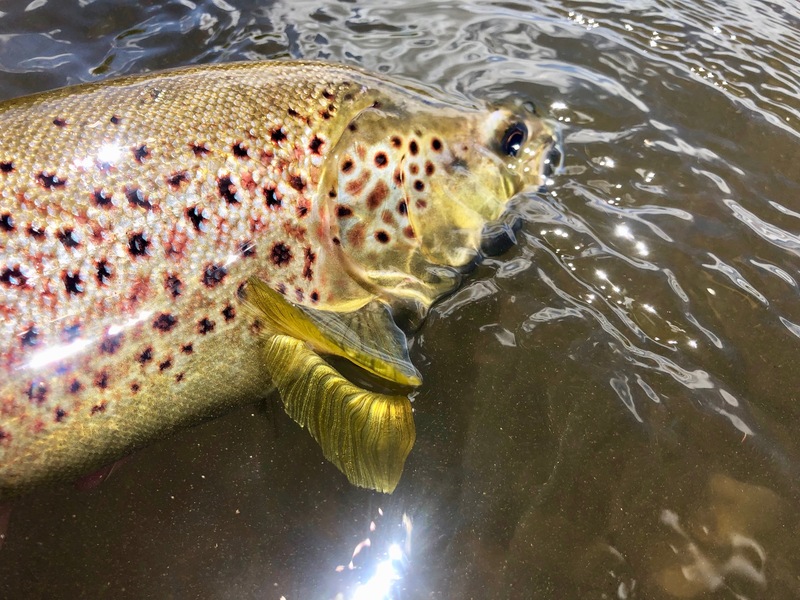 Lake Eucumbene and Lake Jindabyne have been fishing reasonably well, as we have seen both lakes water level rise over some new grass in the previous weeks and there have been reports of some nice browns and rainbows cruising the edges in search of a feed. It has been quite inconsistent from day to day, so persistence and perseverance should pay off. Lake fishing from the shore during the warmer months are usually best during the evening hours right through the night. 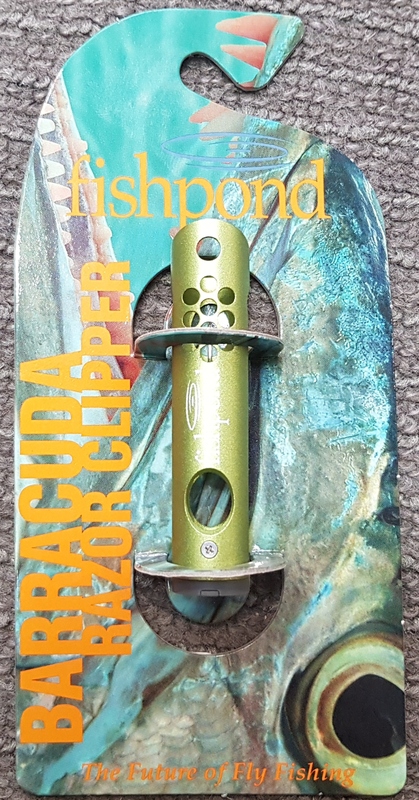 Mudeyes and shrimp patterns are the go-to patterns right now, There have also been some larger Bogong moths making an appearance, A muddler minnow pattern “popped” across the surface can be deadly effective when the moths are about. The higher altitude streams and creeks are my pick of the water to fish right now. With cooler temperatures and still good flows the fish are less likely to suffer any adverse affects when released during these warmer times. Perisher creek, Betts creek, and Spencers are all fishing very well. With everything looking good for a cracker of a trout season, there is no better time to get on down to the Snowy Mountains for a break! Come on down, drop in for a chat, and get into some of the best dry-fly fishing in recent years!! Happy New Year and Happy Fishing!! Murray, Glen, Kirst, Kaz, Jimmy, and Ant.